The search is on to find the best undergraduate or recent graduate student project in the field of mechatronics from a United Kingdom university, with the launch of the Institution of Mechanical Engineers’ (IMechE) ‘Mechatronics Engineering Student of the Year’ competition. For the second year running the competition is sponsored by L.B. Foster Automation & Materials Handling, part of L.B. Foster Europe. 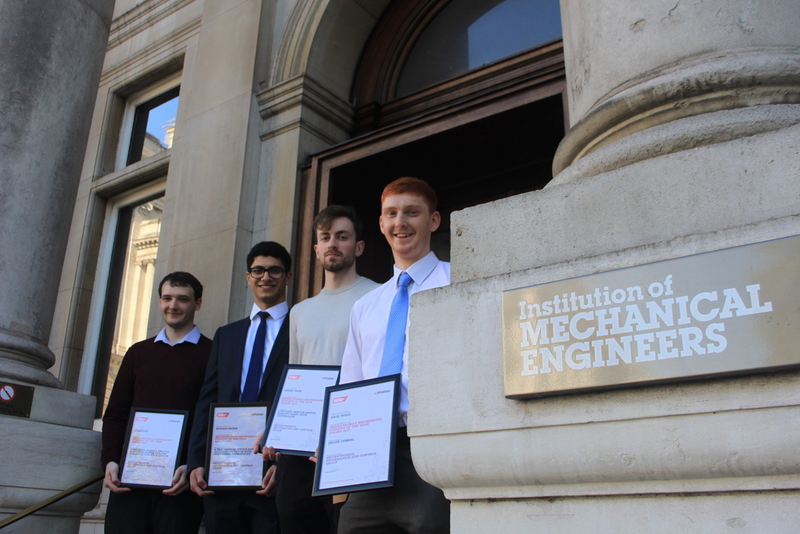 The finals take place at IMechE’s headquarter in central London, with shortlisted students presenting to a panel of judges on 16th October 2019. Phil Chester is Head of Marketing at L.B. Foster Europe. He says: “It’s a real privilege to be sponsoring this competition again. The presentations by last year’s student finalists were wholly inspiring, bringing together the best of the best students in mechatronics that the competing universities had to offer. The competition is open to students who, at the time of entry are on a first-degree course at a university located within the United Kingdom. Students who graduated in 2018 or entering the final year of their degree programme (MEng, BEng or MSc) in the summer of 2019 are eligible to enter the competition. An official entry form must be accompanied by a Project Report and a Project Supervisor’s Citation.